Ice skating under the stars. Snowshoeing through the mountains. Hiking under a picturesque snowfall. 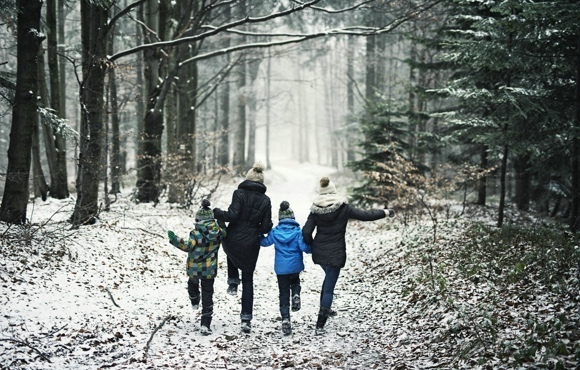 Every winter, my family looks for new ways to experience the outdoors, beyond the typical (and often expensive) trip to the ski slopes. We've tried everything from walks in the woods to sliding down hills on cafeteria trays. Read on for our favorite ways to enjoy the snow without skis, as well as some important tips we've learned along the way. 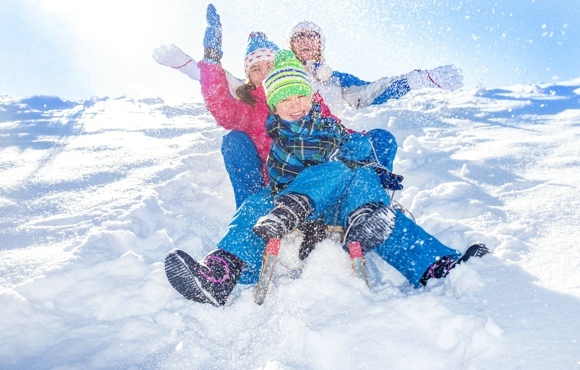 Some states have designated areas called Sno-Parks where folks can get outside and play in the snow. Additionally, both state and national parks feature listings by activity, including snow play and sledding, as well as trail listings for snowmobiles, horseback riding, snowshoeing and more. Visit the National Park Service website, America's State Parks and Trails.com as you begin planning your adventure in the snow. You don't have to wait for snow to fall in your own neighborhood to enjoy the thrill of rushing downhill. Instead, grab your sleds and head for the mountains or foothills. 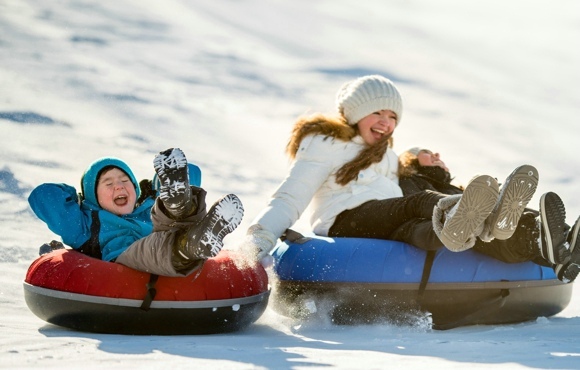 Many states maintain groomed sledding hills in their state park system where you can enjoy riding with your little ones or racing your teenagers. Not to mention, the post-sledding climb back up the hill after each ride makes this the perfect combination of fun and wintertime exercise. Snowshoeing is like walking in the snow, without the part where you sink in up to your knees. 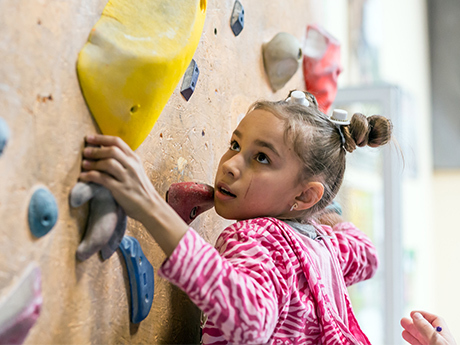 Plus, it's easy to learn, and kids of all ages can go at their own pace. In fact, you can design a snowshoe trip to be anything from a leisurely family outing to a backpacking trip for experienced winter campers. Trails.com links to snowshoe trails nationally, or visit a ski shop near you for local information. 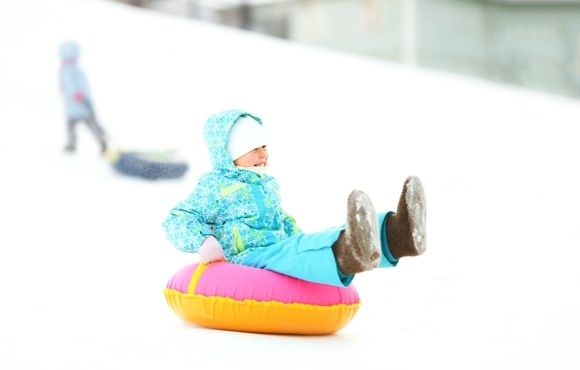 Similar to sledding, tubing allows you to fly down a snowy hill in a groomed lane aboard an inflatable snow tube. With many locations providing a "magic carpet" or modified rope tow to get back up the hill, the return trip can be pretty darn fun, too. 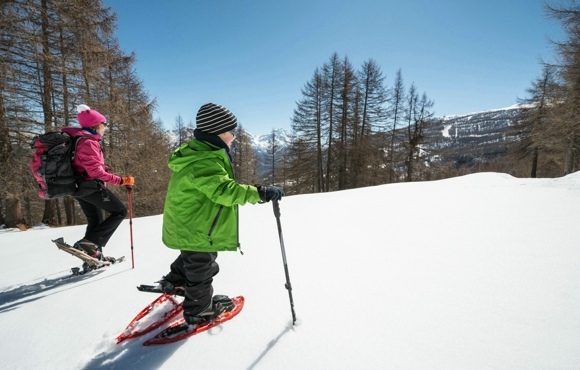 Ask your local ski shop or visit nearby resorts' websites to find out where you can try this snowy adventure near you. Most tubing centers charge an entry and rental fee for a session that lasts two to three hours. My favorite winter memory takes me back to skating on a frozen pond, with snow falling all around. Most of our small town had come out to skate that night, so the scene was set with friends, neighbors and family. If you are lucky enough to live where winter runs long, outdoor ice skating is pure magic. Check with your local government first. Our town monitored the ice and opened the skating pond only when the ice was thick enough to safely hold skaters. 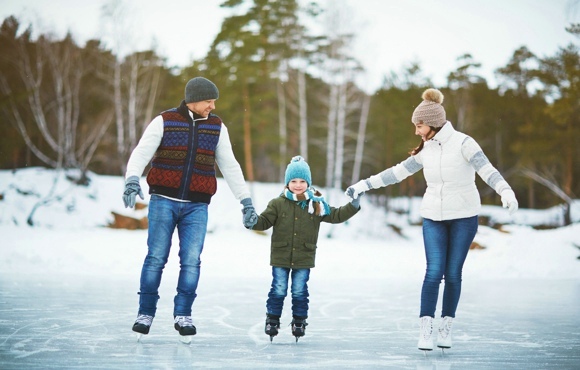 If you live somewhere warmer, look for a seasonal indoor or outdoor rink. Even a spin through a temporary winter wonderland can be magical for your kids, and many rinks offer free or sponsored skate sessions. So often, it's the simple things that create the most lasting memories. After a snowfall at home, bundle up everyone in their boots, mittens, hats and scarves and take a walk around your neighborhood. The world will look different and special, and it will feel like an adventure to your kids. Don't forget to bring along a thermos of hot chocolate and a sack of cookies for the trip. Who says you have to ski at a ski park? 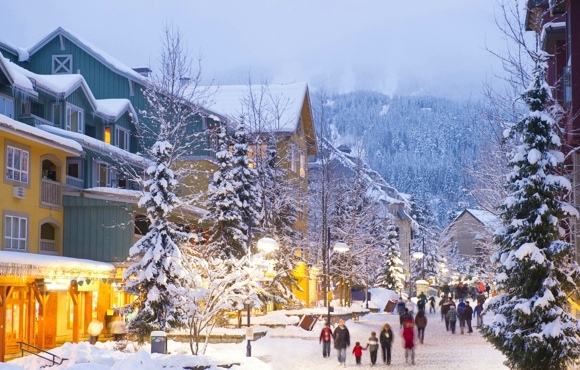 Most feature plowed paths, fire pits, restaurants and shops that provide a chance to experience the snow in comfort. Stroll around, roll a few snowballs, watch the skiers and then find cozy table for a fireside meal. Playing in the snow often means getting wet. 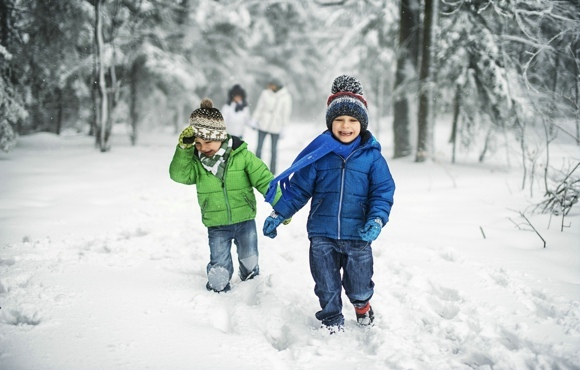 Staying warm and dry will make winter activities more fun for everyone, so always bring extra socks, mittens or gloves and towels for the ride home. A small snow shovel and pail will also make little ones happy, just like sand toys at the beach, and hearty snacks are a must to keep up with winter appetites. Finally, always ensure you're enjoying the snow and ice safely. This includes pre-trip research, bundling up to stay warm, chatting with a park ranger and any other necessary precautions.